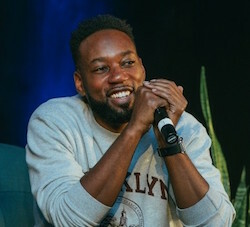 Carl Chery has departed his role as head of artist curation for hip-hop and R&B programming at Apple Music. During his tenure at Apple Music, Chery was responsible for acquiring two exclusive releases from Chance the Rapper, as well as helping to break artists including Cardi B, Bryson Tiller, Post Malone, Khalid, Daniel Caesar, 6lack, and H.E.R. He’ll be joining the team at Spotify, which recently had its own big curator departure when Tuma Basa relocated to YouTube. Variety first broke the news, but it was unclear at this stage what Chery’s title will be when he moves to Spotify.